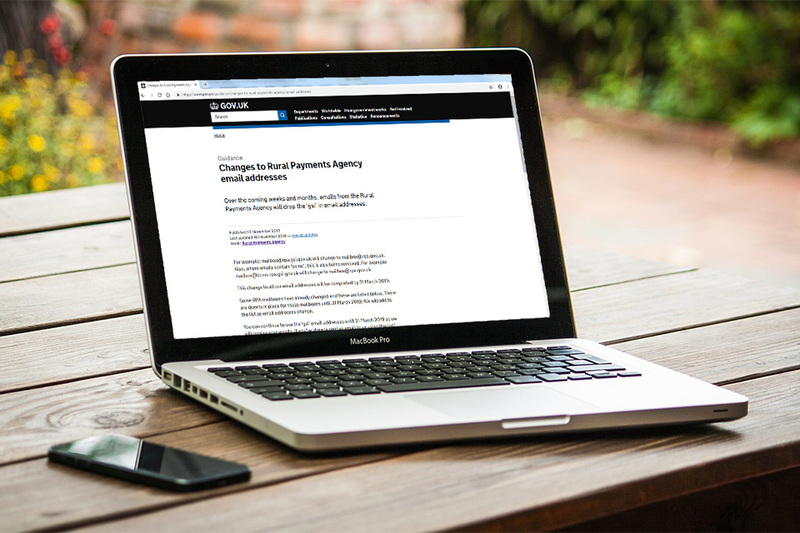 Over the coming weeks and months, emails sent from the Rural Payments Agency (RPA) will come from an email address without the ‘gsi’. For example: mailbox@rpa.gsi.gov.uk will change to mailbox@rpa.gov.uk. Where emails contain ‘bcms’, this is also being removed. For example: mailbox@bcms.rpa.gsi.gov.uk will change to mailbox@rpa.gov.uk. This is the same for all public sector email addresses and must be completed by 31 March 2019. We’re doing this because technology has moved on and there are better ways of providing the security levels that are needed. Once an individual mailbox address has changed, you can continue to use the previous ‘gsi’ email address until 31 March 2019 - we will receive your emails. If you’ve already sent an email to us using the ‘gsi’ email address, you do not need to resend it using the new email address. You can use the new email addresses straightaway if you prefer to do so. After 31 March 2019, we will not receive emails sent to a ‘gsi’ address and auto-responses explaining that the mailbox has been closed will no longer be sent. Also, remember to check your ‘spam’ or ‘junk’ folders for emails from the new email addresses, especially if you do not get an email from us that you are expecting. Finally, be vigilant against fraud at all times. If you are unsure whether an email you’ve received from us is genuine, call us on 03000 200 301.